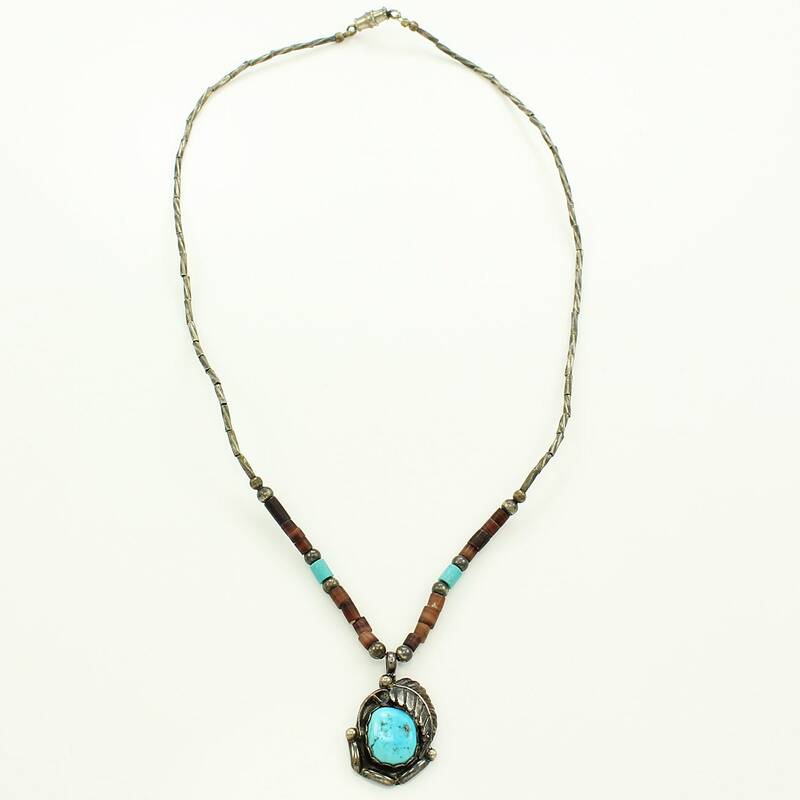 Vintage Southwestern Turquoise Sterling Silver Pendant on Shell Heishe Liquid Silver Twist Beaded Necklace. This hand made boho necklace was made in the 1970s. 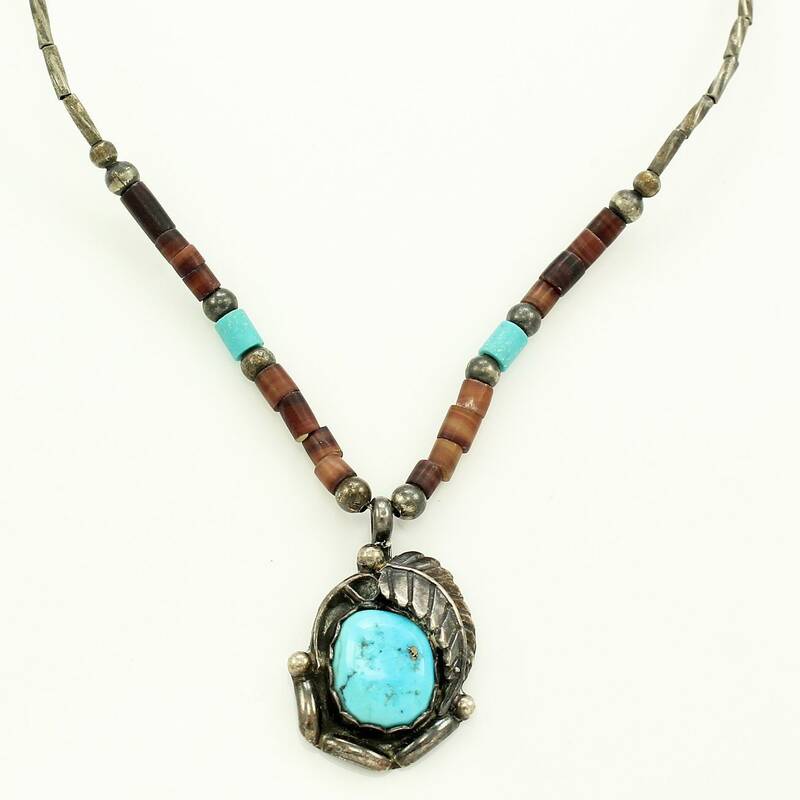 It features a pendant with stabilized turquoise set in a scalloped bezel framed with a fern frond and tendrils. 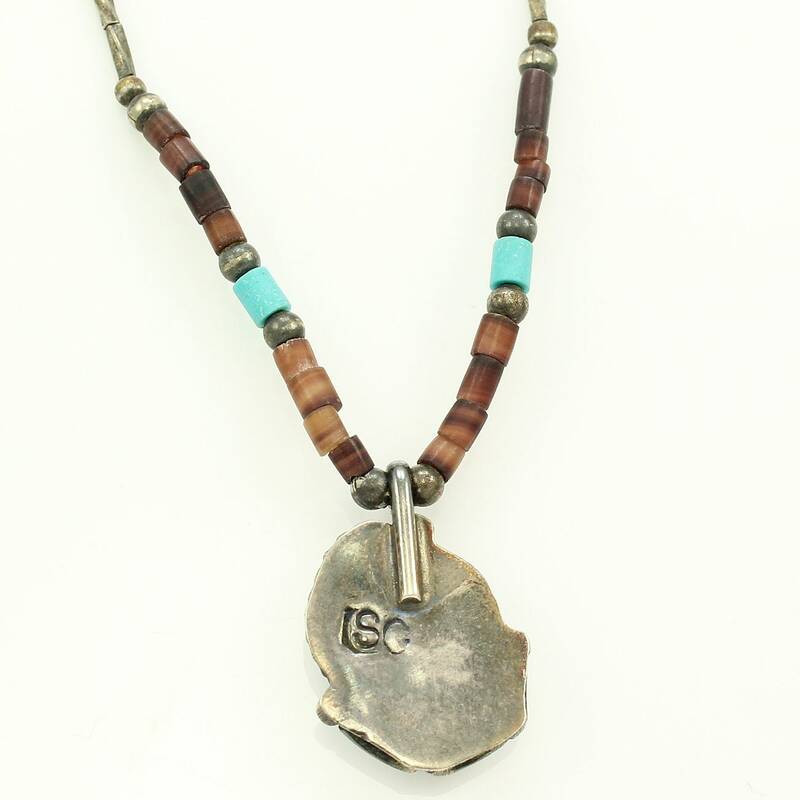 The pendant is suspended from a necklace of brown shell and turquoise heishe beads with round and twisted tube beads of sterling silver. The pendant is stamped with the artist’s mark of LSG on the reverse. It is strung on beading wire and finished with a barrel clasp. The pendant measures 5/8” x ¾” and the necklace has an overall length of 16 inches. In very good vintage condition, with no damage of any sort noted. HALLMARKS/HISTORY: Unmarked, but tests as sterling silver. LSG maker’s mark is stamped on the reverse. MEASUREMENTS: Pendant is 5/8 inch wide and ¾ inch tall. Necklace is 16 inches long.